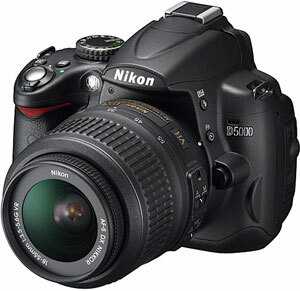 Nikon’s new baby inherits the D90’s HD movie capability with their proprietary D-Movie function and extensive editing features helping users compose their filmic masterpieces in-camera. 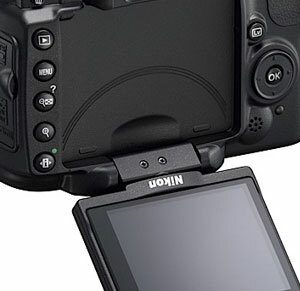 The D500 packs a nifty 2.7 inch, 180 degree Vari-Angle, Tilt/Swivel Live View LCD monitor for grabbing those arty camera angles, while a built-in HDMI socket lets users hook up the camera to admire their creations on their home TV. 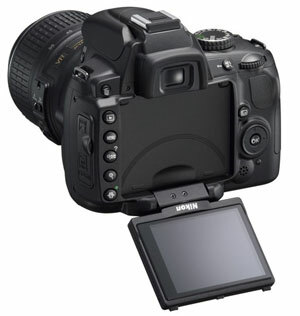 There’s a 12.3MP sensor onboard with a high-sensitivity range covering ISO 200 and 3200 (this can be extended to ISO 100 and ISO 6400 equivalent), plus four types of contrast AF (wide area, normal area, face detection and new subject tracking), Nikon’s innovative EXPEED high-speed image-processing system and 11-point AF system, and no less that 19 scene modes on top of full manual control options. 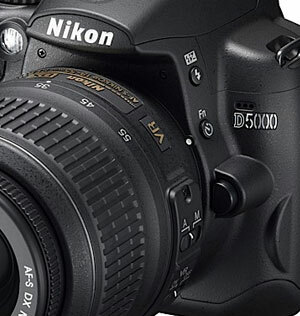 The D5000 is set to retail for £719.99 for the body and £799.99 for the D5000 with a 15-55 VR kit lens – a piece of keen pricing which makes it considerably cheaper than the rival Canon 500D dSLR. 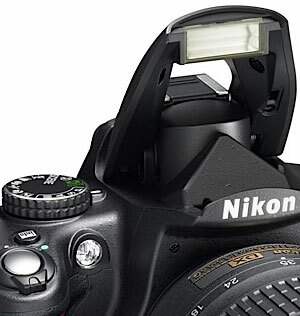 If all this has set you into palpitations of expectant delight, your wait should be mercifully brief, with Nikon scheduling a first of May release date. Superimposed on-demand grid lines over the viewfinder display. Auto, auto with red-eye reduction, fill-flash, auto slow sync, auto slow sync with red-eye correction, rear curtain with slow sync. Playback zoom (image size L up to approx. 27x, M up to approx. 20x, S up to approx. 13x) When one or more faces (up to 10) were detected with shooting, the faces are enclosed in white borders. When playback zoom is applied, different faces can be displayed by rotating the sub-command dial. Do you have any HD video sample of it ? good review , and really a awesome camera . it is really give me a deep impression, I like it very much!